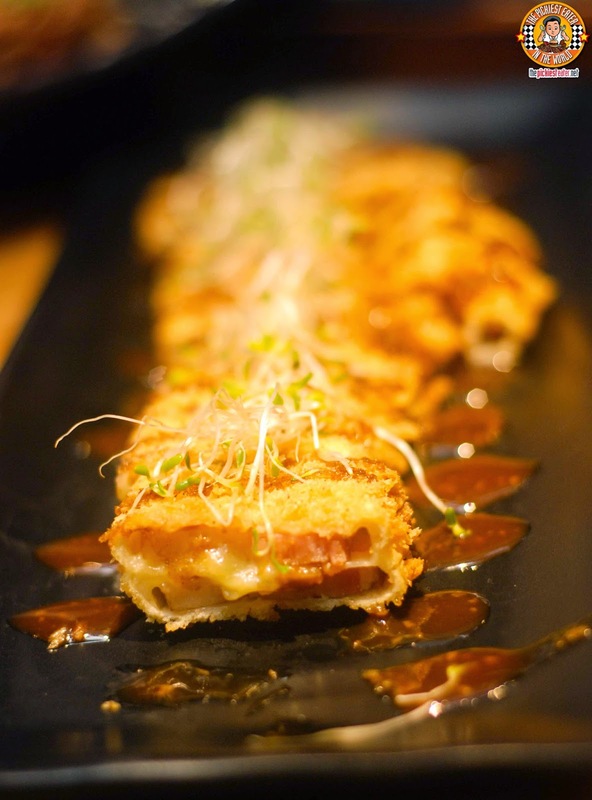 Before I tell you all about the new ramen they came up with, let me tell you first about the Red Cow Tamagoyaki (P255). I absolutely loved this. It was a simple egg roll in the literal sense, but stuffed with shredded corned beef and shiitake mushrooms, then sprinkled with spring onions. Everything just worked together wonderfully, and was seasoned to perfection. I know I already posted about Wrong Ramen's Bacon and Cheese Katsu (P265), but I just had to share a photo of it again just to make you all jealous. 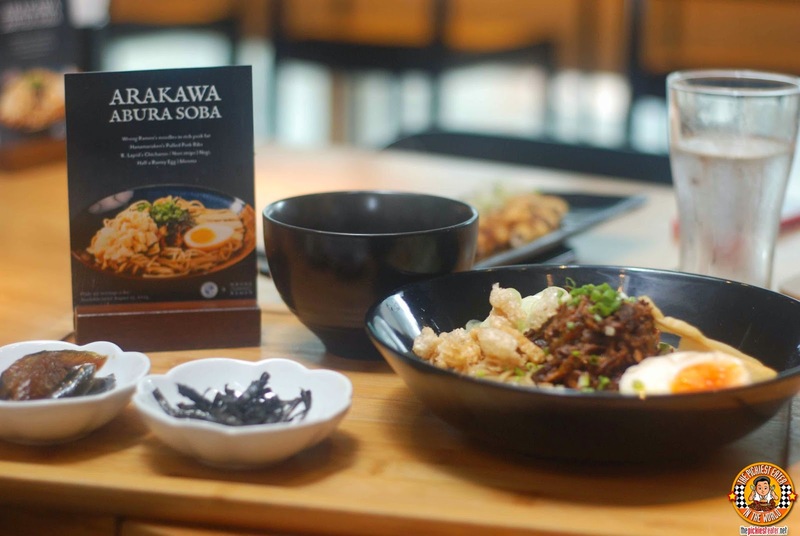 I'm sure you're curious what the new Arakawa Abura Soba is all about, let me spell it out for you.. 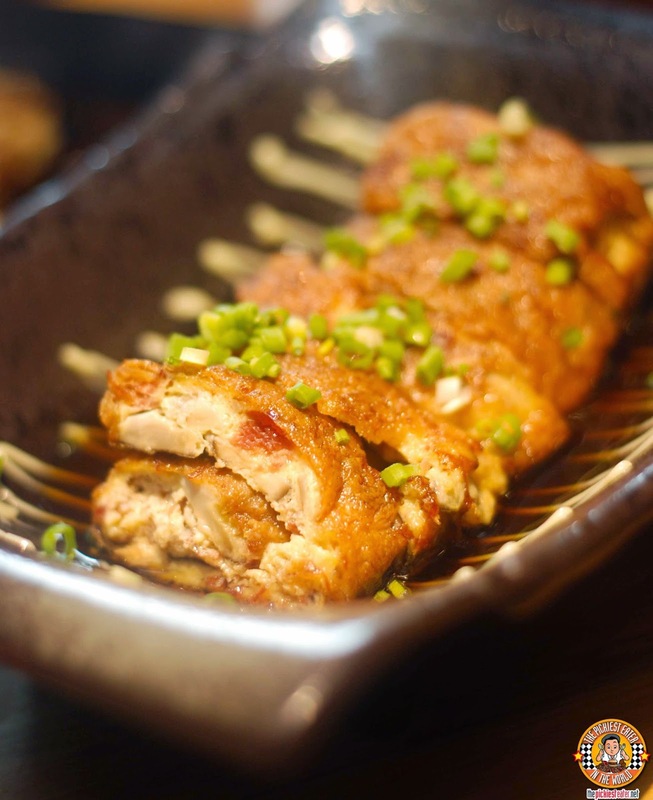 Imagine a heaping pile of steaming noodles washed in Wrong Ramen's Rich Pork Fat broth, then topped with Hanamaruken's famous pulled pork ribs. Popular Ramen Condiments, such as Negi, Menma and Nori is sprinkled over it, and a beautiful half cooked egg is placed on the side. 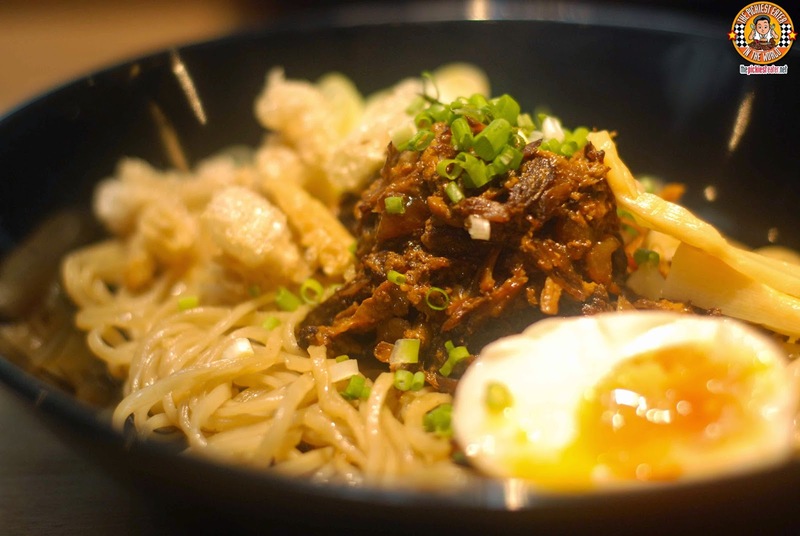 Wrong Ramen then delivers its coup de grace, with a topping of crumbled Lapid's Chicharon. Remember, this isn't your traditional bowl of Ramen Noodle Soup.. It's more like a "Pancit" with the noodles soaked in a flavorful broth. This was truly magnificent, and all the components worked together harmoniously. The Menma offered a distinct saltiness that was tempered by the creaminess of the egg and the richness of the broth soaked noodles. Meanwhile, the crunchiness of the crumbled pork rinds gave the ramen more unique texture. I proceeded to mash up the egg into the noodles, together with everything else into the plate, and simply devour with reckless abandon. Remember: There are only 30 bowls of this available a day, so you might want to get in on it early.. Not to mention what I said earlier.. That it's only available until September 15! Whether you're a ramen lover or not, The Arakawa Abura Soba is definitely a dish that you must try for yourself! 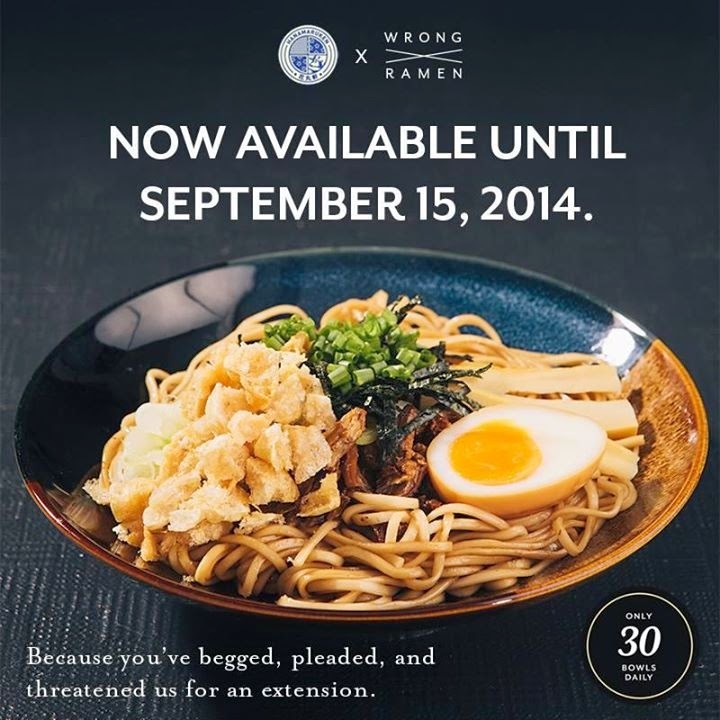 SEE YA AT WRONG RAMEN! Like Wrong Ramen on Facebook!